3.1, 3.2 earthquakes hit San Ramon around 12:43 a.m.
SAN RAMON, Calif. (KGO) -- At 12:43 a.m. a measure 3.2 earthquake hit the San Ramon-Dublin border, followed by a 3.1 quake a minute later. A magnitude 3.5 temblor struck around 4 p.m. on Tuesday and just six seconds after, a weaker 2.8 quake struck. Hundreds of earthquakes have hit in the past two weeks. The largest being Tuesday's 3.5 quake. 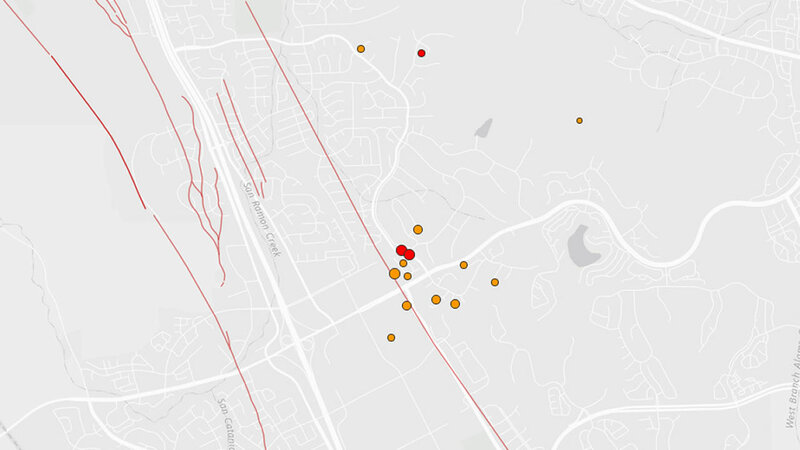 All were centered around San Ramon on either the Calaveras Fault, or off-shoots of it.